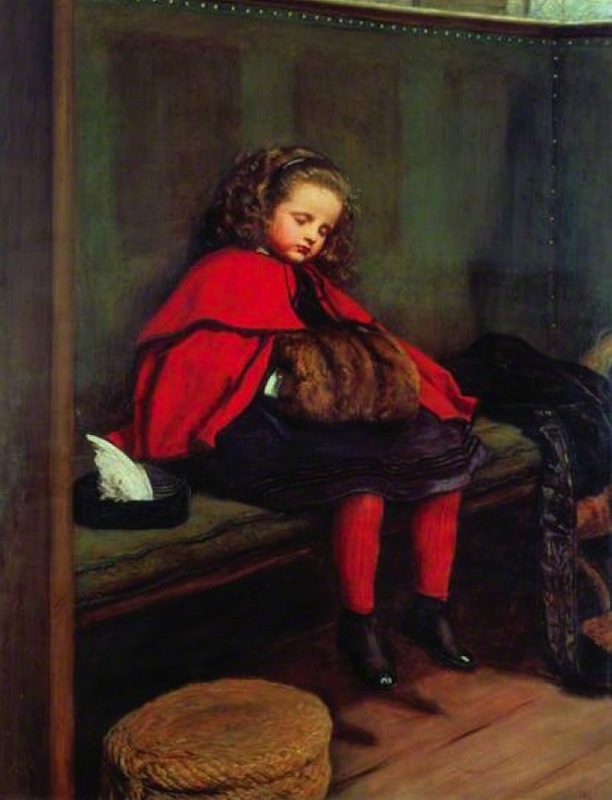 This painting, together with the one Millais painted of the same child's second sermon, was one of his most admired. Click on the picture to enlarge it; commentary continues below. This little picture of Effie was extremely popular. The artist himself was so pleased with it that, before going North in August of that year, he made an oil copy of it, doing the work from start to finish in two days! A truly marvellous achievement, considering that the copy displayed almost the same high finish as the original; but in those two days he worked incessantly from morning to night, never even breaking off for lunch in the middle of the day. Well might he say, as he did in a letter to my mother, "I never did anything in my life so well or so quickly." The copy was sold as soon as it was finished, and I see from an entry in my mother's book that he received £180 for it. John Guille Millais adds in a footnote that the pictures were painted in the old church at Kingston-on-Thames, were Millais' parents lived, before the "old highbacked pews" had been removed." He continues by explaining that his father "was now, so far as I can judge, at the summit of his powers in point of both physical strength and technical skill, the force and rapidity of his execution being simply amazing" (378). “Art. Royal Academy (First Notice).” The Reader: A Journal of Literature, Science, and Art. (9 May 1863): 461-62. 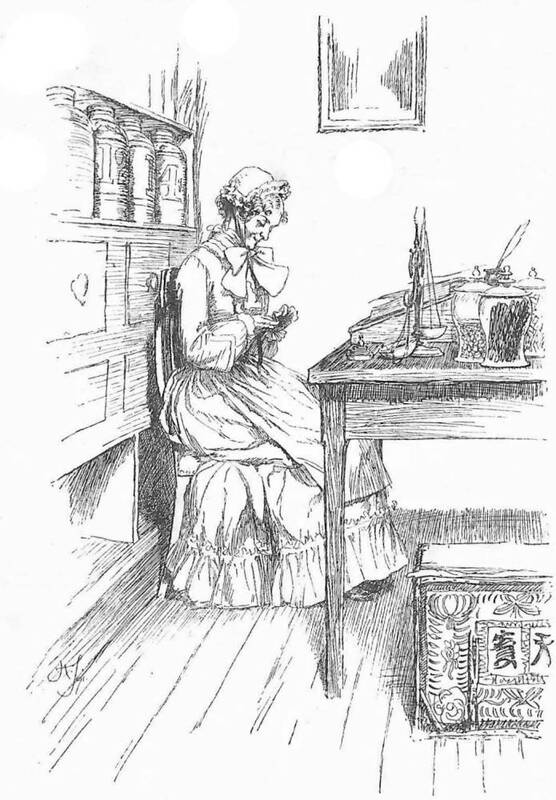 London: “Published at 112, Fleet Street,” 1863. Hathi Digital Library Trust web version of a copy in the Princeton University Library. 20 July 2016. Fleming, Gordon. They Ne'er Shall Meet Again: Rossetti, Millais, Hunt. London: Michael Joseph, 1971. Millais, John Guille. 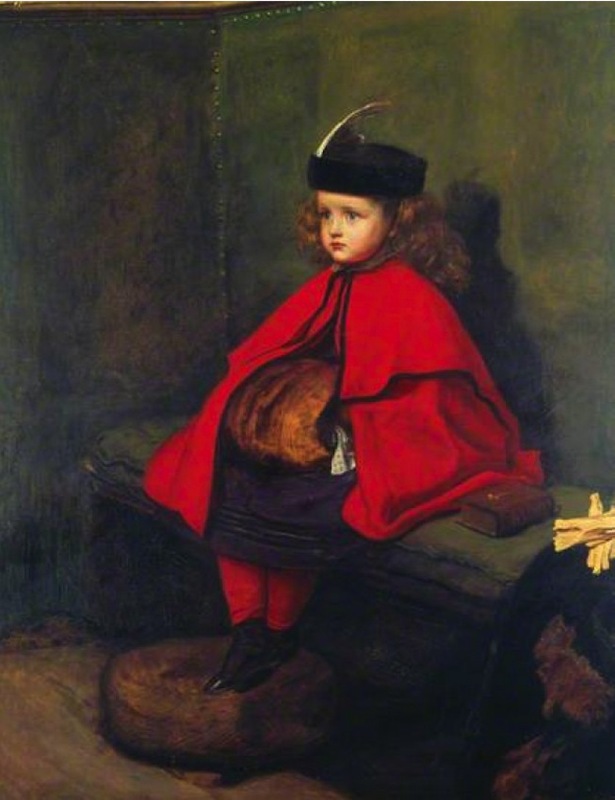 The Life and Letters of John Everett Millais, President of the Royal Academy. 2 vols. Vol. 1. London: Methuen, 1899. Internet Archive. Web. 7 February 2015.